Looking for a car rental in Dubrovnik? You have come to the right place. Rentalcargroup.com compares all major car rental companies in Dubrovnik Airport. If you want to the cheapest possible rates for a car rental fill in your travel dates and request a real-time price. George Bernard Shaw was not exaggerating when he portrayed Dubrovnik to be the ‘ultimate paradise on earth’. The fortified city of Dubrovnik, with its symbolic Renaissance architecture and the panoramic view of the Adriatic Sea, is a tourist’s haven in Croatia. 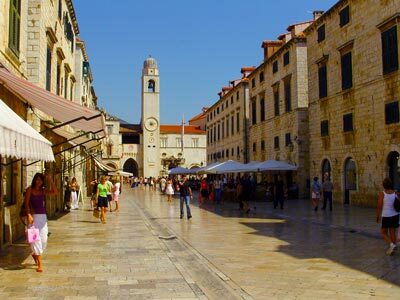 Visitors can expect a host of pleasant surprises as Dubrovnik offers you splendid trails, trekking options, pristine beaches, walk-and-shop avenues and a variety of sporting opportunities. Those who want to explore the city in comfort can opt for car rental and make the most of every moment there. As you move into the old city of Dubrovnik, you will come face to face with churches, monasteries, palaces, cathedrals, turrets, towers and the famous Dubrovnik wall which protects this maritime city. Many of these date back several hundred years. History enthusiasts will love to explore venues such as the Rector’s Palace, St. Saviour’s Church and the Franciscan Monastery with vast exhibits of antiques and rare documents. With so many different places to explore, car hire can be the best option to see as much as possible during your stay. If the sea, sand and cool breezes are the main features that you would like from your holiday, use the Dubrovnik car rental facilities to head to Dalmatian Coast and the Adriatic Sea. Once there, you will have numerous options in addition to the mainland as there are beautiful islands just waiting to be explored, from the historical Korcula Island and the densely forested Lokram Island to the clear, untouched beaches on the coast of Mljet Island. You might want to explore the Kolocep, Lopud and the Sipan Islands as well. Dubrovnik has plenty of beaches which bask in the glow of the bluish-green Adriatic Sea. As such, the Tourism Board promotes a lot of controlled adventure water sports throughout the year. From scuba diving to river water rafting to kayaking, you can try them all and more. The beaches are often crowded during the peak tourist season, but if you have a lot of cash to splash, you can book yourself a private beach resort as well! Copacabana, Neptun, Lapad Bay beaches are few of the ‘must-visit’ beaches of the country. Dubrovnik offers unique climbing, camp-fire, trekking and hunting spots, courtesy of the rocky Dinara mountain range that is a huge favourite with both amateurs and expert mountaineers. With gorges, peaks, caves and springs throughout, they not only serve as a marvellous retreat but also offer breathtaking views of the countryside. Dubrovnik has something for every member of the family and car hire means that there is no waiting around for a bus or train – choose your own timetable and enjoy the holiday of a lifetime. When traveling we advise to carry some Kunas to avoid any unwanted surprises. At many airports there are Money Exchange offices in order to change your local currency. The local time code for Dubrovnik is CEST. When traveling to Dubrovnik make sure to check the local weather conditions in order to avoid any unpleasant surprises. Dubrovnik has approximately 42,615 inhabitants. 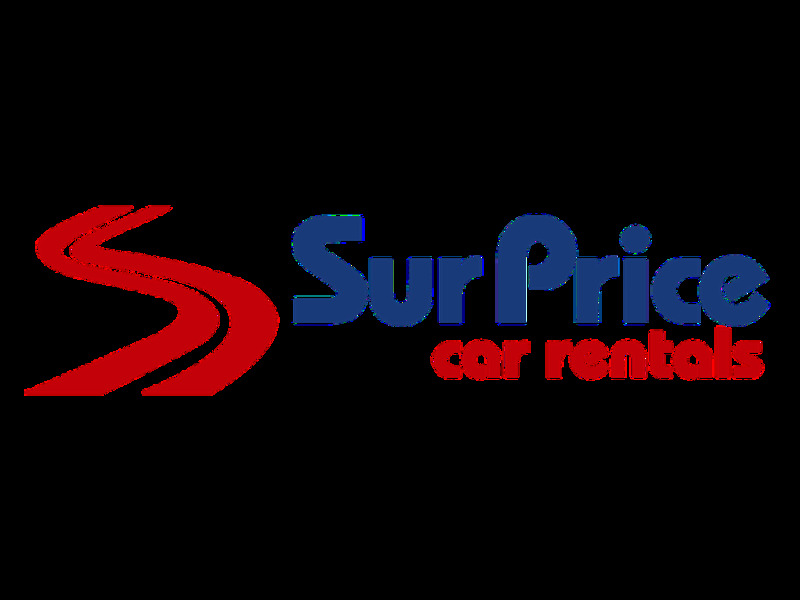 Rentalcargroup.com is one of the largest independent car rental online brokers; we compare prices for car rentals from more than 35,000 locations. Dubrovnik Airport There are many car rental agents offering different categories of cars from Compact or Economy to SUV's; we can offer you a wide range of rental cars. So leave us looking for you and just select the car that suits you the most. It is very simple. In Dubrovnik Airport, many car rental companies offer different types of cars, from small cars to large SUVs. Rentalcargroup.com has made it easy for you. Simply filter the results. If you are looking for an SUV, click SUV and you will see all the SUVs you can choose. You can also see if the SUV is a 4 * 4 guaranteed, because not all SUVs are guaranteed 4 * 4. If you want a guaranteed diesel car, use the search filter and you will have the guarantee that you will get a diesel car. If you are not afraid of height, take the cable car, the cable car takes you in 5 minutes from 778 m to downtown Dubrovnik. From the cable car you have an amazing view over Dubrovnik. Lokrum is a small island near Dubrovnik, it is a protected naturual reserve. It is a popular island for swimming and for everyone who wants to spend a day away from the city. Last month, the average car rental length at Dubrovnik Airport was 6 days. The average rental car length at Dubrovnik Airport is 8 days. The most booked rental car type currently at Dubrovnik Airport is ECONOMY cars. Last year, the most booked rental car type at Dubrovnik Airport were ECONOMY cars. How much does it cost to rent a car at Dubrovnik Airport? Last month, the average car rental price was 154 USD. Last year, how much did it cost to rent a car at Dubrovnik Airport? Last year, the average car rental price was 229 USD. What is the current average daily price to rent a at Dubrovnik Airport? Last month, the average rental price was 25 USD per day. How much did it cost to rent a car at Dubrovnik Airport over the past 12 months? Last Year, the average rental price was 29 USD per day. The car rental companies available at Dubrovnik Airport are: Alamo, National, surprice, Enterprise, Green Motion, Right Cars, Oryx, Hertz, Avant Car, Firefly. See below last 5 customer reviews. Our customers rated Dubrovnik Car Rental with an average of 8.92 based on 13 ratings. Sixt knows exactly how many people are about to come in at any hour to take their car. i would expect more than 2 sleepy employees to be there if more than 100 people are waiting 2 hours in line. Staff was great. pick up and drop of were both done in under 5 min. car was clean and ran great. will us them again. As smooth as it could be.